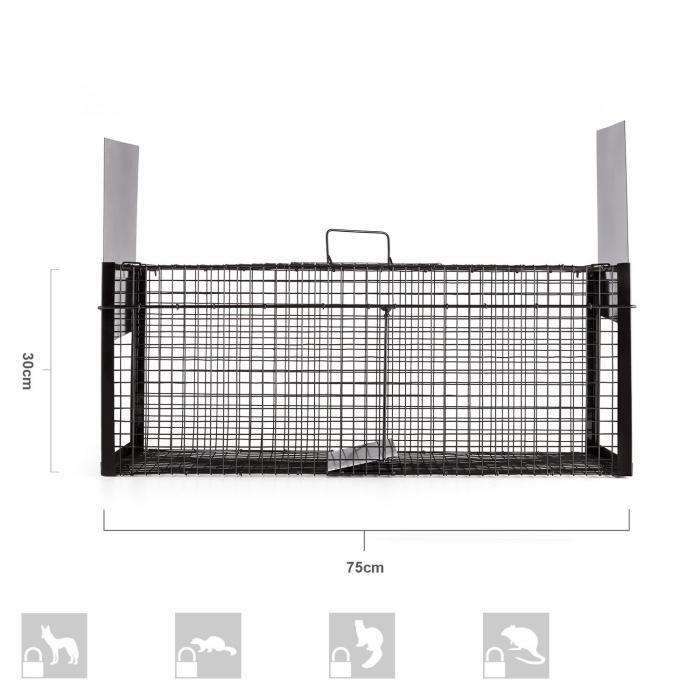 If martens, rats, stray cats or even hares haunt your property, then the oneConcept Catch & Carry live trap is just right for capturing animal pests and setting them free in open fields or delivering them to animal control. 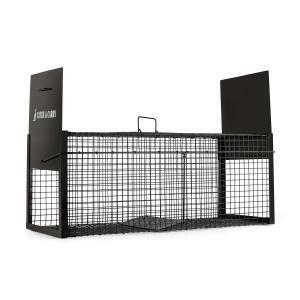 Put an end to chewed-through car cables, ransacked dustbins or animal hullabaloo in the attic. 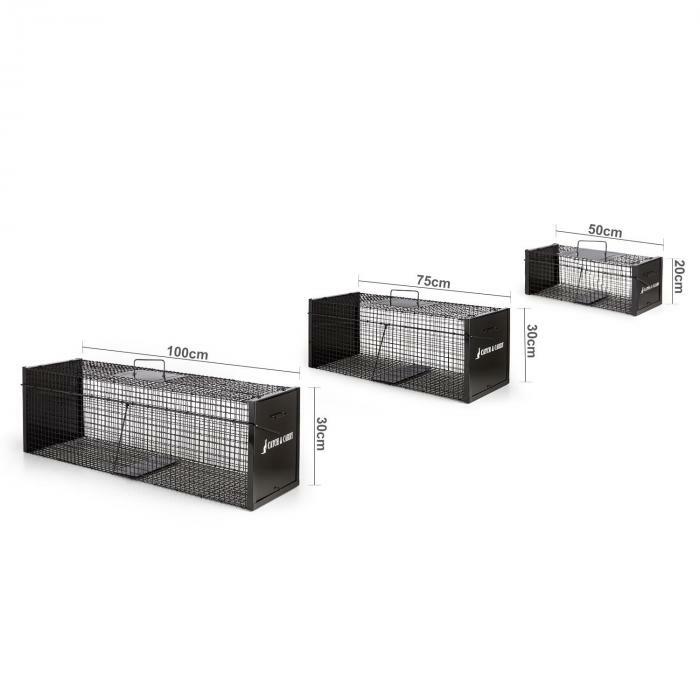 The sturdy mesh cage made of 2mm steel wire with a mesh size of 2 x 2 cm works purely mechanically and intercepts the animal without harming it, just temporarily putting it in captivity. 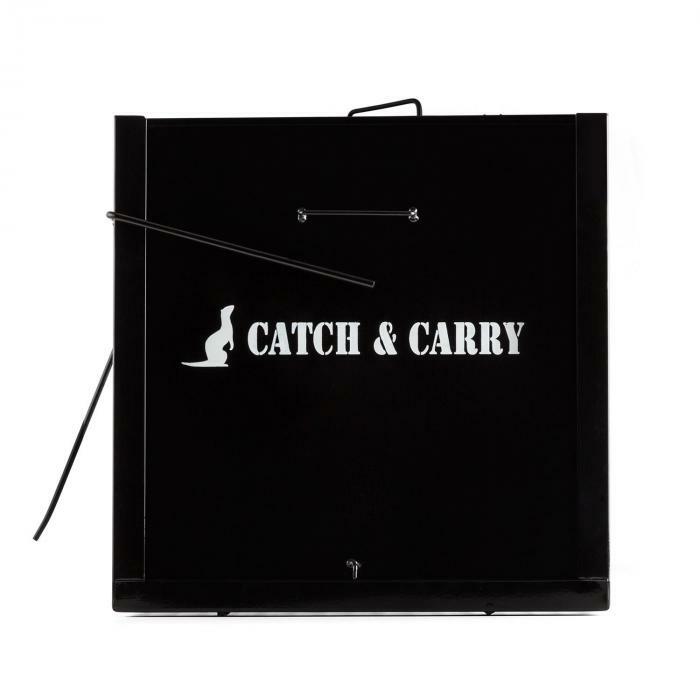 The oneConcept Catch & Carry trap is placed in the usual path of the animal and the pressure plate inside is loaded with a suitable bait. 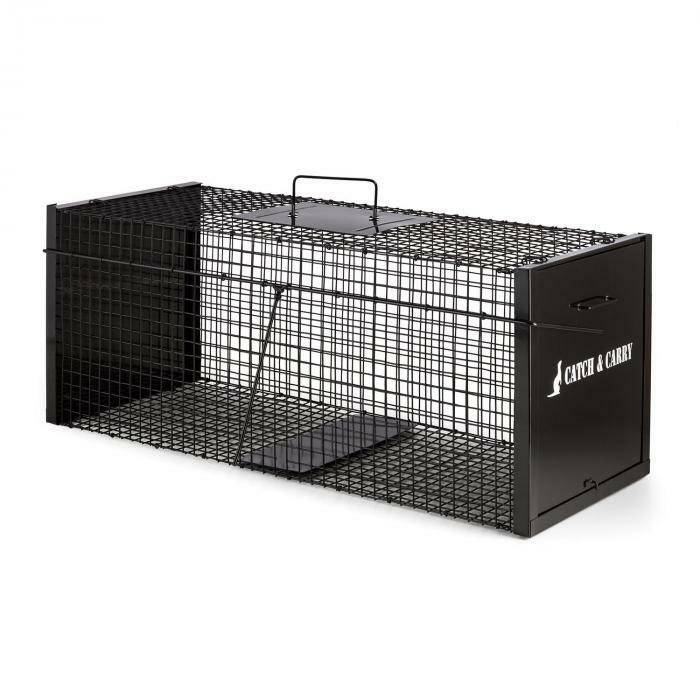 Once pressure is placed on the plate, the marten trap is triggered: trapdoors whizz to the ground and lock the animal in an escape-proof cage. 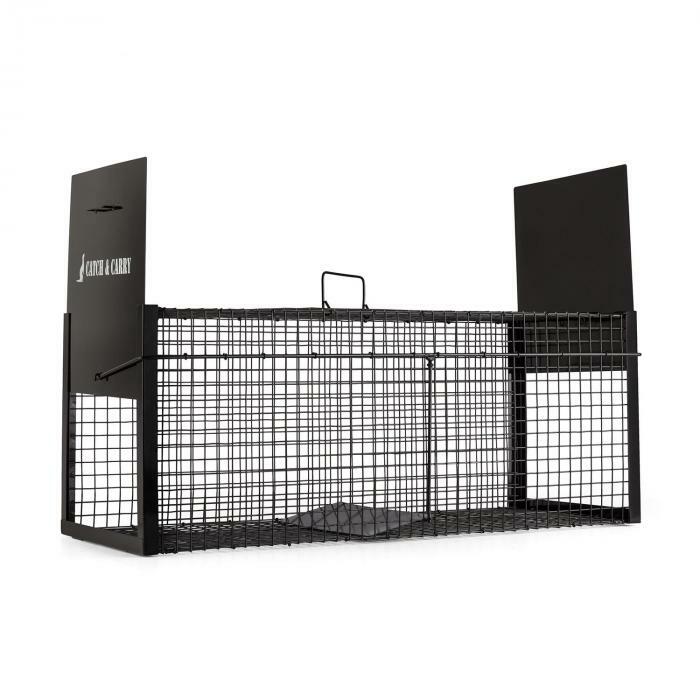 With a sturdy carrying handle, which is protected against bites by a metal plate, the live trap with its captured animal may be easily transported so that the animal can be set free into the wild. All parts are provided with a black powder coating and are thus protected against corrosion. Please note that the hunting of martens is generally only permitted during the months of October to February. Please consult the hunting laws of your country or local council before using the trap to ensure that you are complying with any special rules for hunting wild animals.